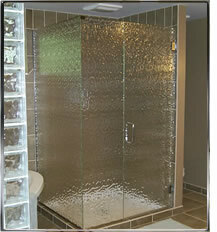 We provides Glass, Mirror and shower door services to customers in Des Moines and surrounding areas. If you are looking for custom glass and mirror installations for your home or business we have affordable solution for you. We have a large Des Moines shower door showroom at our office located near downtown Des Moines. 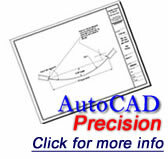 Our main products include Alumax, Basco, Cardinal and more. Our staff is trained in Glass, Custom Mirrors, Shower doors and Commercial Doors and Windows and we are ready to serve you. Our #1 goal is satisfied customers ! Latest review - click here for more reviews. Our showroom is conveniently located at 506 SE 5th Street just east of downtown Des Moines, Iowa. Stop in and we will be happy to show you the products we offer. For now, feel free to browse our website. You will find a huge amount of information including glass styles and finishes, shower door systems and many other services we offer. We purchase our mirrors by the truckload at a discount and these savings are passed on to our customers. Glass and Mirror installers Des Moines. Shower Door installers Des Moines. Commercial Doors & Windows Des Moines. Steele Glass & Mirror was the preferred installer for Mirrors and Shower Doors this year at the 2011 Home Show doing the majority of installations. Not to mention the coveted "Master Suite" winner. There is a reason the best builders in Iowa choose Steele Glass & Mirror! Our quality speaks for itself.